FC Dallas vs. CF Monterrey in Super Group Final on Sunday | Dallas Cup, Inc. The Dr Pepper Dallas Cup, the oldest and most prestigious youth soccer tournament in the United States, will determine the Gordon Jago Super Group champion this Sunday at 6:00pm at Toyota Stadium in Frisco. 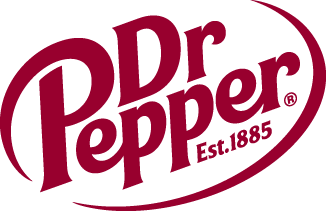 Mexico’s CF Monterrey Rayados and local side FC Dallas will square off to decide which club will win the coveted Dr Pepper Dallas Cup Super Group “Boot and Ball” trophy. It was a warm evening out at Toyota Stadium as two Liga MX rivals, Tigres and CF Monterrey Rayados, faced off in the first Super Group semifinal match of the night. In the 19th minute, Tigres struck first. A perfectly placed ball was played ahead of Luciano Augusto allowing the forward to use his rapid pace to his advantage. He chipped the ball over the onrushing keeper putting his team up 1-0. Monterrey would answer in the 33rd minute off a set-piece, as Hernan Contreras whipped a ball into the box and William Mejia headed the ball across the keeper to tie the match. Rayados would take the game in the 82nd minute, as Josue Dominguez sized up his defender and bended the ball past the keeper to secure Monterrey’s spot in the Super Group final. The second semi-final match featured local academy side, FC Dallas and two-time Super Group champion Coritiba from Brazil. The first half momentum seemed to be on FC Dallas’ side as they controlled much of their possession in the Coritiba half of the pitch. Chances at goal were far and few between, however, as both sides took their clean sheets into halftime. The match remained knotted until the 80th minute when Jesus Ferreira put FC Dallas on the board. Ferreira played a ball off his chest at the edge of the box, waited for an angle to open up, and tucked the ball to the far post past the keeper. With time dwindling down, Coritiba equalized. In the 87th minute, Romeu de Resende sent a curling free kick over the FC Dallas wall and into the back of the net. Just a minute later magic struck for the FC Dallas side as Jesus Ferreira and Paxton Pomykal connected for a beautiful game-winning goal. Ferreira played a perfectly timed pass into the box to Pomykal who flicked the ball past the sprawling keeper. The match ended 2-1 as FC Dallas will gear up for their matchup against CF Monterrey in the Gordon Jago Super Group final. Sunday’s Super Group final will be broadcast live on Spectrum Sports Channel and tape delayed on Univision Deportes Network. Tickets for the game can be purchased at www.dallascup.com.